We have just started carrying the Gold Alphabet Block Letter Beads in gold tone. The gold tone comes from 22 karat gold plating over lead-free pewter. 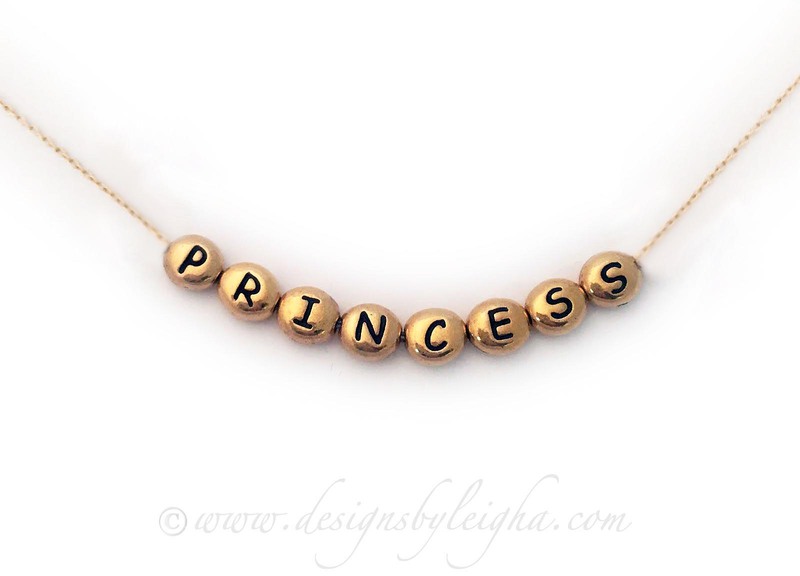 You may have up to 12 letters per necklace. The letters are 7mm x 6mm. The necklace is 14k gold-plated rolo chain. It starts at $39 for the necklace and 1 gold block letter.